BEAUTIFUL BRICK DAYRANCH ON 1.92 ACRES. 3 bedrooms (master on main), 3 bathrooms, 2545 sqft, built in '72, totally updated. Quality finishes & new paint throughout. Kitchen w/ new cabinets & double pantry. Immaculate landscaping w/ small fish pond, covered area & huge deck overlooking the fenced yard. Paved drive. 35x40' shop w/ 14, 12, 8' doors. 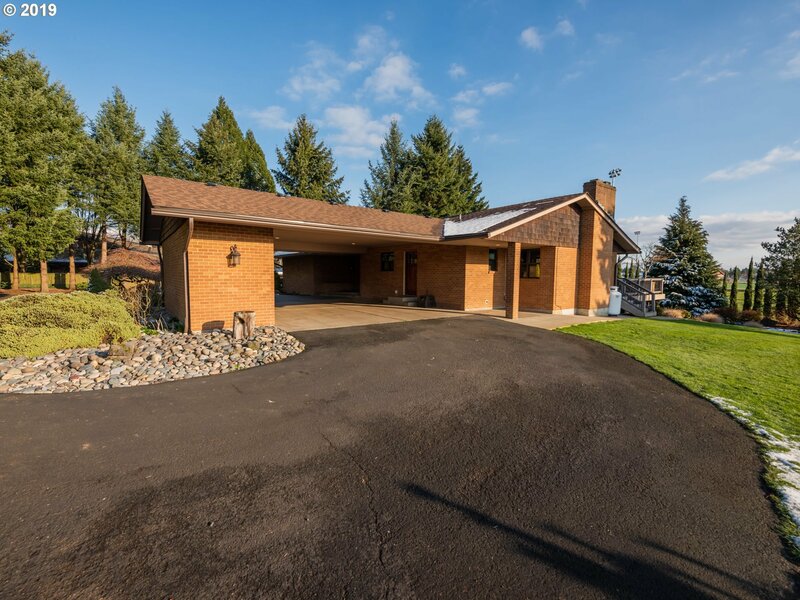 Private setting right in town w/ front acre of Douglas fir. Family is original owners!